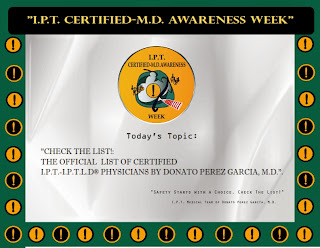 News from IPTLD & Dr.Donato Perez Garcia,MD : CHECK THE LIST! THE OFFICIAL LIST OF CERTIFIED I.P.T. PHYSICIANS BY DONATO PEREZ GARCIA, M.D.